As a candle wholesale supplier, we want to make sure your retail store is one that stands out. Our selection of wholesale home candles offers a unique and whimsical catalog that is sure to be an aesthetic addition to any home. 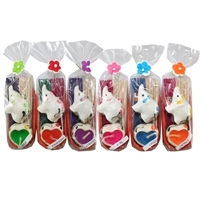 Whether they love an aromatic smell or simply prefer an unscented ornament, we offer a variety of options including Buddhas, angels, gnomes, plumerias, skulls, and more. Along with our assortment of scented and unscented candles, we provide an array of intricate candle accessories including candle and incense holders, trays, and gift boxes made especially for hassle-free retailing. Shop candles and accessories with World Buyers today! Perfect little ceramic tray with green crackle glaze! Great for holding incense and even small jewelry! Perfect little ceramic tray with blue crackle glaze! Great for holding incense and even small jewelry! Order increment is 2 dozen. New! Mermaid Revelation Candle Jar with original story poem on back label. World Buyers exclusive design! New! Unicorn Wishing Portal Candle Jar with original Wishing Story on back label. Exclusive World Buyers item. Back in Stock. Now with more wax! World Buyers Design Exclusive Item! One dozen Friendship Angel candle jars with lighting prayer on back label. Vegetable wax and cotton wick. Protection and Prosperity Angel candle jar with original lighting prayer on back label. A World Buyers exclusive design! Back in stock. Now with more wax! World Buyers Design Exclusive Item! World Buyers Design Exclusive Item! Day of the Dead candle jars with original story on back label. Vegetable wax and cotton wick. World Buyers Design Exclusive Item! Buddha candle jar with original story on back label. Vegetable wax and cotton wick. 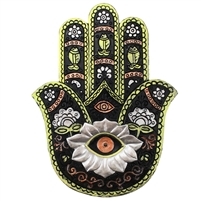 Silver and green hamsa incense holder. Can also be a paperweight or a wall plaque! 4pc minimum. Please order in increments of 4. Purple and pink hamsa incense holder. Can also be a paperweight or a wall plaque! Gift box with assorted incense cones and sticks with ceramic river leaf incense burner. 4 box minimum. Must order in increments of 4,8,12 etc.. Cute scented elephant candles in fabric tray. Assorted dozen. 1dz Scented elephant candle, incense sticks and leaf tray burner all packaged up into a cute little gift! 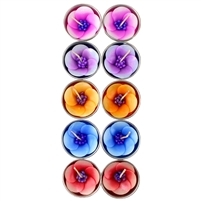 Assorted plumeria tea light candles. 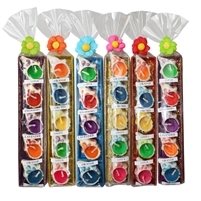 10 candles per pack. 1 dozen packs. Praying angel with whitewash finish. Great little gift item! Everyone needs a gnome in the home and these are the friendliest gnomes to have around.